Please return to the store and add some items to the shopping basket. Special Offer, UK Mainland deliveries are free, exceptions apply. Order today! Due to ADR regs on transport of flammables we can only send 25L drums of solvent product via premium rate special carrier, hence minimum FREE carriage order is 4 x 25L or ring for a quote. Alternatively, you can still collect single 25L drums at our Ulverston or Glasgow trade counters. We would only use this to contact you to discuss your experience with our products. Lead Brite is designed to provide a protective coating for newly installed lead work. It inhibits the development of the white carbonate staining prevalent on untreated and older lead. White carbonate slating often leads to the staining of surrounding slates, tiles and masonry. 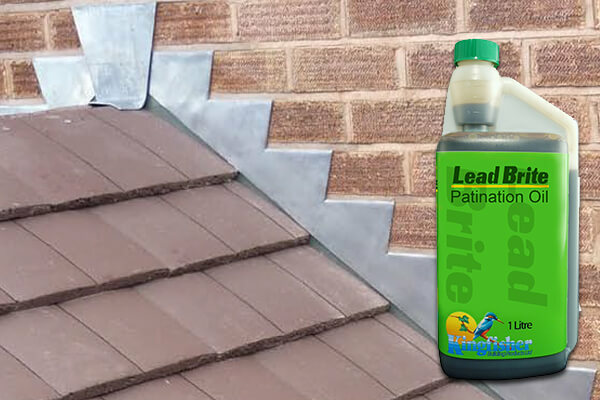 This product is vital for protecting your lead roof against unsightly white staining. Once your lead sheet is in place, it is important to apply our Lead Patination Oil as soon as possible. If it is not applied soon, dampness can prevent the lead partition oil from being effective. Kingfisher Building Products has a wealth of experience providing roofing supplies, offering cost effective and high-quality products. One application of Lead Brite maintains the uniform colour of new lead. Subsequent maintenance applications helps the lead to develop its own natural patina. The easy measure container aids consistent application without spills. Lead is becoming one of the most popular options for roofing. 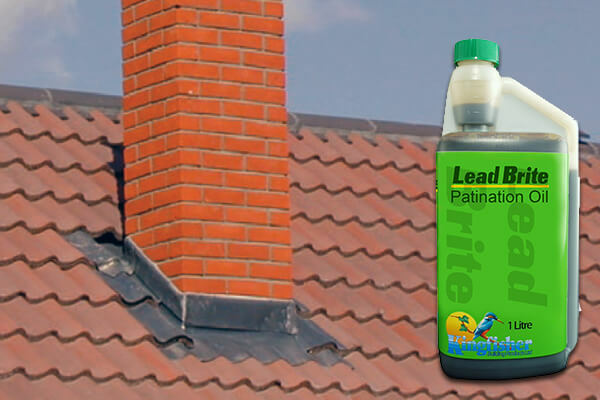 For lead roofing, this easy to apply and durable lead patination oil is ideal. No matter how you use lead, this product will ensure you of a beautiful finish for years to come. For more advice regarding the Lead Brite Patination Oil, don’t hesitate to contact us. I was recommended this by a friend several months ago. It enhanced the colour of the new lead and it still looks as good today as it did 5 months ago. Highly recommended. If you have a photograph to support your query, please attach it as this will help us to provide a solution**. If you are sending a photo, please allow time for the contact form to upload the photo. Please do not click refresh after clicking send until the form is submitted. Photos may be used. All fields marked with an * are required. If you are sending a photo, please allow time for the contact form to upload the photo. Please do not click refresh after clicking send until the form is submitted.